Ultra strong, flexible and durable. Ultra Stark, flexibel und langlebig. 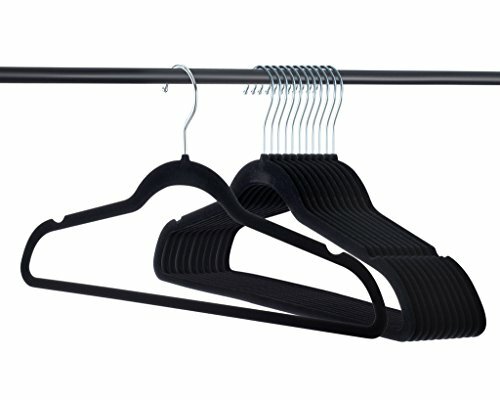 These hangers are foldable and portable. You could easily to fold it up into a very compact shape and pack it to your bag but would not take of a lot of room. 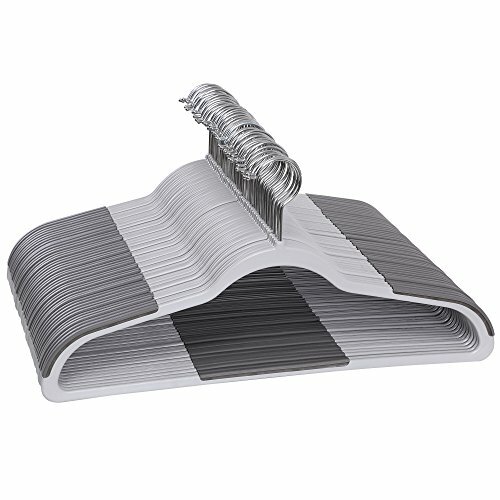 Trubetter folding hangers make of superior ABS material which is light weight. There is fixed with a tiny stainless steel screws on the hanger that makes it more sturdy to hold the clothes. The Non-slip design will keep your clothes stay in the place, won't be fall down and stretch out. These hangers can be folded thus it can fit in small pockets of travel bags and luggage. With a slim, compact profile that helps to conserve precious space in your closet. Space-saving and no hassle at all. It's for baby's clothes when it's half unfolded, while it's for adult's clothes when it's fully unfolded.Clothes can be held firmly by the design of anti-skid grooves. Folding size, Length 9.84'' x Height 5.12'' ; Full size, Length 17.32'' x Height 6.69'' . Each hanger weighs 33 grams thus very convenient to carry around either for travelling, hiking, camping or even for home-use. REALLY SMART AND PRACTICAL--- It's for baby's clothes when it's half unfolded, while it's for adult's clothes when it's fully unfolded.Clothes can be held firmly by the design of anti-skid grooves. SKID-PROOF DESIGN--- Allows you to keep your clothes in place without falling or sagging and protects delicate garments. This is ergonomically designed ends to preserve garment shape. This pack will help you organize your dresses, pants, coats, suits, and the like making your closet neat-looking like it should. COMPACT FOR EASY STORAGE--- These hangers can be folded thus it can fit in small pockets of travel bags and luggage. With a slim, compact profile that helps to conserve precious space in your closet. Space-saving and no hassle at all. HIGH QUALITY AND LIGHTWEIGHT--- Each hanger weighs 33 grams thus very convenient to carry around either for travelling, hiking, camping or even for home-use. 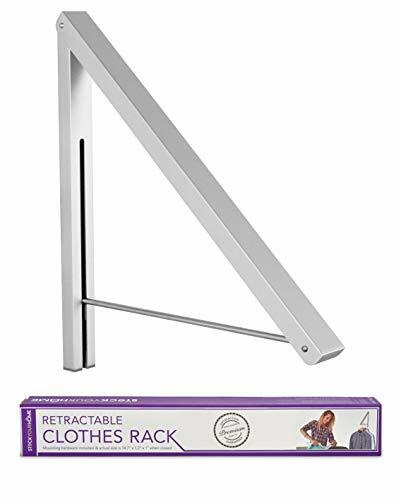 100% Money Back Guarantee--- When you order our Travel Clothes Hanger today, you're protected by a 30 day, no-questions asked money back guarantee. TOTALLY RISK FREE, why not give it a try ? 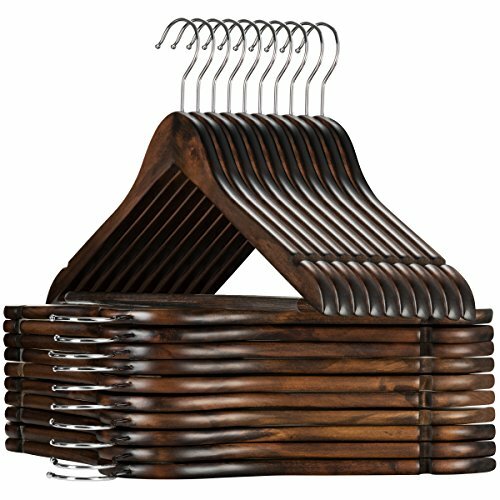 Set of 20 premium lotus wood suit hangers. 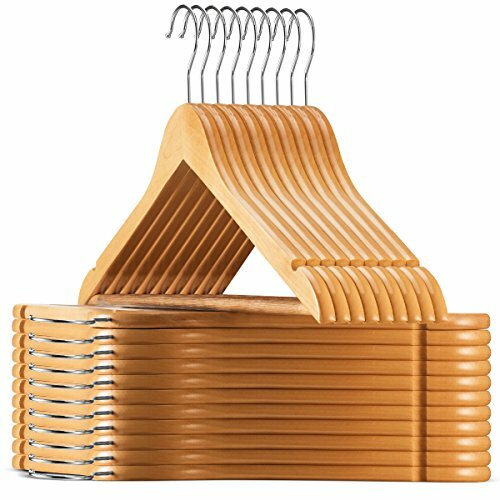 These luxurious clothes hangers are unlike the rest; made of exceptional quality clear varnished wood with all practical features as a 360 degree chrome hook, a grooved, vinyl covered pant bar, and a contoured shoulder line with perfectly cut notches. Elegantly hand-crafted from the wood of the resilient Lotus tree; these pant hangers have unsurpassed strength and durability. They have been sanded to a smooth, splinter-free finish and coated in clear lacquer for added protection and to bring out the natural woodgrain. The Space saving skirt hangers have a pant bar that allows users to hang pants, skirts, scarves, and more. The pant bar is rounded to eliminate the occurrence of creases and wrapped in clear, grooved vinyl a grip. A contoured shoulder line on the Dress hangers helps clothes keep their original shape; keeping shoulder bulges at bay. The shoulders also feature 2 precisely cut notches for hanging strappy shirts and dresses. A chrome 360 degree hook lets users easily hang clothing from any angle. Our hangers come presented in secure, great for gifting to loved ones on special occasions such as housewarmings and weddings. Dimensions: 17 from shoulder to shoulder and 8 from top of hook to pant bar. - Keep it away from sharp objects to avoid scratches. - Please make sure hanging items are within the loading capacity. Product Details Not every wooden hanger is made equal. At Zober, we've engineered a special type of hanger that surpasses the competition in quality, durability, and look. These hangers are crafted from wood sourced from the lotus tree in China. The resilient lotus tree produces wood that is incredibly durable, perfect for hangers that can withstand the weight of heavy garments such as suits and coats. The wood is sanded down thoroughly for hangers that are splinter-free and smooth to the touch, then finished in a clear lacquer for a gorgeous shine that brings out the natural woodgrain. The hangers have contoured shoulders that imitate the human shape closely, retaining the integrity of your clothing and keeping shoulder bulges from appearing. Cut notches on the shoulder line allow for strappy shirts and dresses to be hung with ease. The pant bar is secured to the hanger and reinforced allowing you to hang heavy pants and jeans without fear of the bar collapsing. The bar is cylindrical in shape for keeping creases at bay and features a grooved, nylon covering that grips garments and prevents them from falling. Finally, the hangers feature a 360 degree swivel stainless steel hook that allows you to hang the hangers from any angle. The Skirt hangers have a pant bar that allows users to hang pants, skirts, scarves, and more. The pant bar is rounded to eliminate the occurrence of creases and wrapped in clear, grooved vinyl a grip. Reliable Strength: heavy duty suit hangers features a thick hangers body with screw-reinforced thick cross bar and zinc plated hook provide superior support of heavier clothes suit sets and jean. Better Accessibility: a 360 degree swivel stainless steel hook makes hanging and scanning through all clothing hangers much easier. Non-slip Hanging: pants bar has been fitted with a grooved non-slip rubber tube that keeps pant, slack, Trouser, from falling off and crease-free. Elegant Organization: Crafted of fine-quality lotus wood hangers that's been polished for a splinter-free finish and lacquered to bring out it's exquisite wood grain. 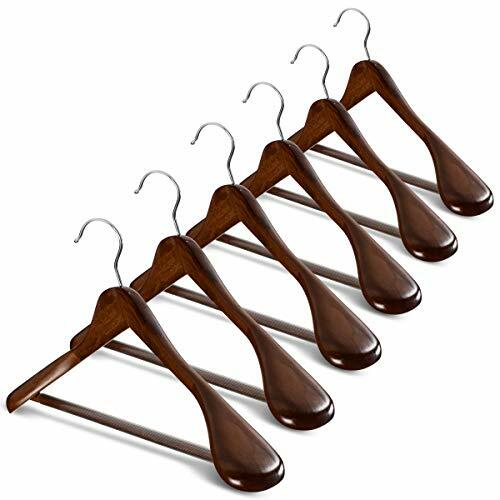 What You Get: Set of 6 wooden coat hangers backed by a 5 year limited warranty, friendly U.S. customer service, and customer satisfaction guaranteed. Our hangers come presented in secure, that's great for gifting to loved ones on special occasions such as housewarmings and weddings. Dimensions: 17 from shoulder to shoulder and 8 from top of hook to pant bar. 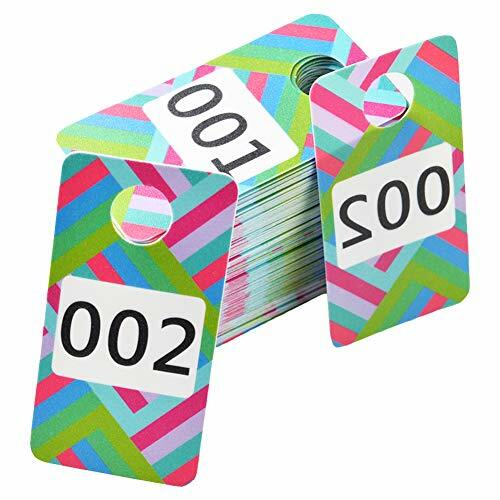 Colorful plastic number tags (rounded corner) : Colorful design allow your audience to see the number correctly when watching your live sale, Easy-to-read, large digits ,Also to attract the best bids ,and it's ideal for online live sales for clothing stores and home businesses, They also can be the luggage tags, or book tags,etc. May be you are doing clothing stores, home businesses or Facebook living sale. 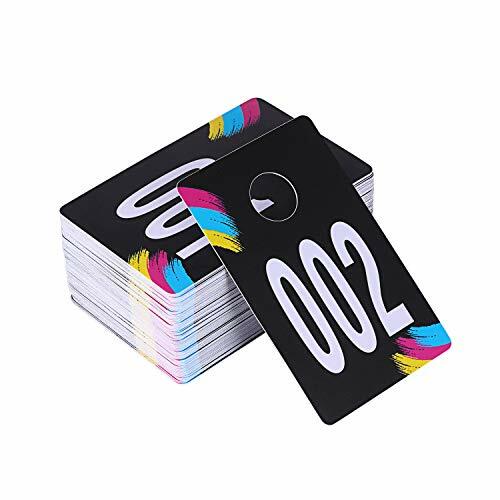 SUKIRA colorful fasion Coatroom tags makes an organized coatroom possible and enables you to provide your clients a quick, efficient and impeccable service. SUKIRA numbered tags are Made of durable and wipeable plastic so that you can used them again and again. The coatroom tokens also give you a proper and professional looking. In the long run, these numbered plastic coatroom hangers will also be less expensive than paper tickets or cardboard. Why not "Add to Cart" now for your businesses or friends now? 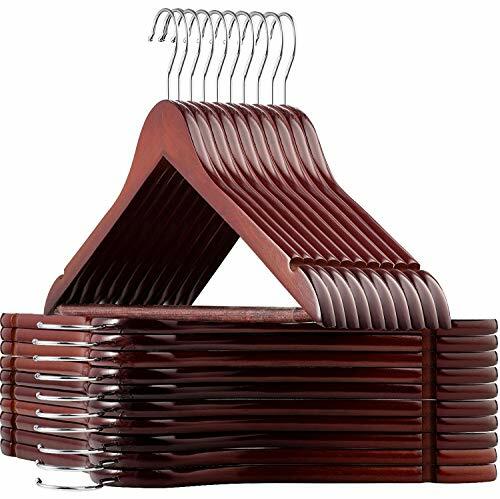 The Stock Your Home Retractable Clothes Hanger provides you with an instant closet you can use to conveniently hang clothes right out of the dryer to prevent wrinkles, store guests' coats during parties or your family's winter coats, and easily collapse it when the laundry's done, or your guests go home. INSTANT CLOSET: Folding clothing rack gives you as much as 10 inches of space to hang your clothes when you need it that conveniently folds up when you don't! 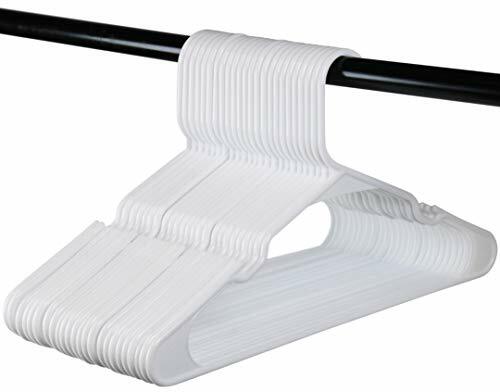 CONVENIENT: The collapsible hanger opens easily to give you extra room as a wall mounted coat hanger to hang your guests' at a gathering, laundry room clothes hanger, or storing seasonal clothing in your attic or garage. 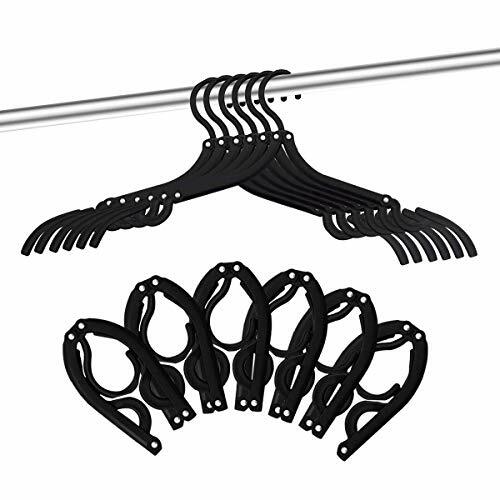 DURABLE & STRONG: The folding hanger rack has a non-corroding Aluminum casing, and sturdy stainless steel bar that can hold up to 60 pounds of weight. Mount it inside or outside, wherever you need it! EASY INSTALLATION: Mounting hardware and easy to follow instructions included, so you can mount it and enjoy convenient clothes-hanging space right away. DIMENSIONS: 14.7 x 1.2 x 10.5 when opened; 14.7 x 1.2 x 1 when closed.